White Glove Tracking Compilation Video | F.A.T. Above is the White Glove Tracking compilation video Ben and I showed at the New Museum last night. 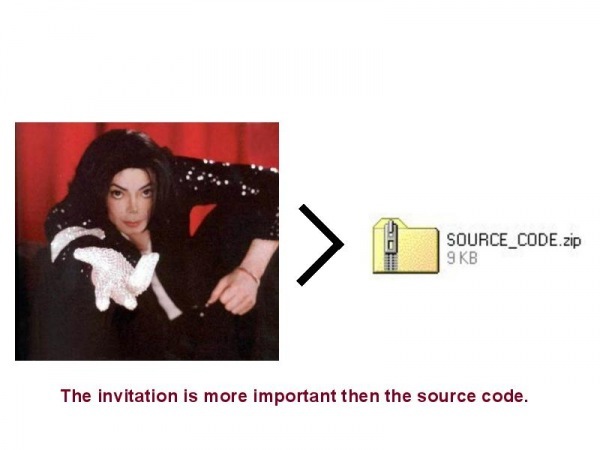 You can also peep the slides from the presentation here. This is the culmination of work that took place over the course of last 2 years. All shine to Zach, Open Frameworks, Jung-Hoon Seo, David Wicks, Tim Knapen, Jonathan Cremieux, Eyebeam, and Rhizome Commissions. The top ten White Glove data contributers will soon be getting their commemorative prints in the mail. The application and source code for the ASCII generation software used to create the prints can be downloaded here (PC only at this point). 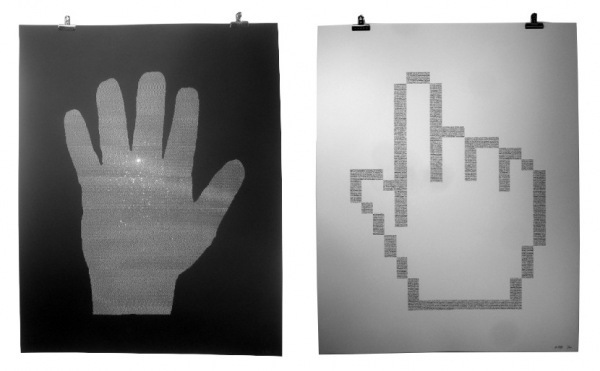 The blinged out ASCII print on the left is made up of the X-Y coordinate data of the white glove movement, and the print on the right is made up of all the email addresses of the data contributers (from most clicks to least starting at the top bottom).